You are here: Home / Marketing Talk / Let’s Talk About Google Plus. Do you like it? Let’s Talk About Google Plus. Do you like it? When the word came out in June that Google was going to be launching another social media platform, I was not all that stoked. I realize I was in the majority, but I had not even really gotten the chance to explore Google Buzz before it disappeared. Google scares me anyway. Hello, search + social media? Lordy, it could turn into, well, Facebook! 😮 Despite previous social media flubs, though, there was definitely a sense of excitement about this new Google Plus. There were so many bells and whistles beyond just a social media thing. There was talk about how the hangout feature would kill GoToMeeting and Facebook chat. There was talk about how the +1 button would kill SEO. Heck, to listen to some of the hype, it seemed like Google Plus was just plain going to kill everything! It was going to be the Dexter darling of the online world. I started playing with Google Plus right around July 4th, so I guess I’ve been there close to 3 months. That’s a quarter of the year, mathematically. And to me, at least, Google Plus still seems pretty confusing. I still don’t understand what “huddles” are. I do’t understand the difference between following and circling. Are you sharing if you’re following? And if someone circles me and I circle them in return, why do I get a notification that they have circled me back? That could go on forever, couldn’t it? My biggest concern about Google Plus, however, is that it is not really feeling like a “social” media platform to me. The more I stick with it, the more it feels like a broadcasting platform. I know this because I realized with a start that that is primarily how I have been using it these three months. On platforms like Twitter and Facebook, I envision communication as being a right-side-up triangle. You are at the point with a single tweet or a single update, and that communication spreads out to your community. People find it easy to respond, and things like retweets or comments help spread the message to wider and wider, well, circles, if you can pardon the pun. Google Plus seems different to me. On Google Plus, the goal seems to be to start with the widest possible reach, and comments or shares are less important than getting your word out there. It takes a much longer time to narrow your communication to a small group. One-on-one conversations definitely do not seem to be where Google Plus shines. As of now, I am not a huge fan of Google Plus. I wasn’t all that excited about it in the first place, and I am just not getting much out of it these days. However, I can see a spark of potential there. Once people get into the social aspect more, maybe it will mature and be more engaging. I’m willing to wait it out a bit, but my expectations have been minimized from where they started. Now it’s your turn. 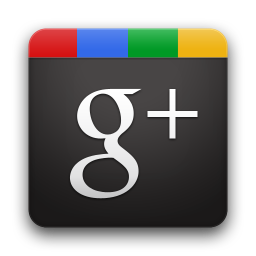 What do you think about Google Plus? Am I missing some major benefits here? I’m happy to learn from you! Let’s talk about it! I think is one of, if not the most accurate portrayal of Google+ I’ve heard so far. I stopped using it after a few weeks because it wasn’t a social platform it was just a bunch of people trying to post their content. Unlike Twitter where you get content in snippets, Google+ posts are enormous posts. I think Google+ combined some of the worst features of Twitter and Facebook. Firstly, Google+ allows you to post endless posts similar to Facebook. However, no one is posting social activity, they are just broadcasting their content. My stream is so saturated with TechCrunch, Mashable, and Tom Anderson I didn’t even know what to do anymore. So I made the easy decision and stopped trying. Google+’s traffic might be increasing now that it is public, but I think people will realize it’s a worse version of Facebook and Twitter. For me anyways I’ve become socially saturated. I don’t blog, but it’s difficult enough as it is to maintain an active Facebook and Twitter presence, why even bother with Google+? Yeah, sounds like we agree on a lot of points. On the one hand, it’s nice not to have a character or media limit. On the other hand, holy info overload, Batman! I’m not ready to say that Google Plus is worse than Facebook or Twitter, but for me personally, it’s not ringing my chimes. Sounds like it’s the same for you! I share a lot of your reactions, and stopped using it for about a month as a result. Twitter is where I get social, and I’ve not found or noticed any of that kind of serendipitous conversation on G+. I think those who love it are those who are fleeing their own huge and unmanageable networks on Twitter / FB. I’m not sure it’ll really take off for other lesser mortals. I think of Google Plus as a big door to stuff crap into the Google Search Engine without having to deal with the gatekeeper and middleman that Facebook is. Most of my SOCIAL interactions are done on Twitter and on my blog. (and comments like this) I will occasionally respond to something on G+, but not in a social way at all. All these platforms that are trying to get people to interact and connect… too many, too much, too many rules. And now with G+ insisting you are a “real” person, I’m pretty sure they will find me eventually and whack me out, at which time there is very little need for them. I’m already almost doing without. I know, man! I’ve been waiting for them to uncover you with their secret and evil Google powers 🙂 It’s interesting that you’ve gotten through this long. I would have bet against it! Glad you’re enduring, however. I’ve been on it for a few months as well – and I do kind of like some of the features, like Circles. I think overall it has some potential. The biggest challenge for me is that not many people I know are on G+ so it’s pretty dull. I think for a lot of casual users, they have so much invested in Facebook, it would be difficult to part with it and move to a new service. I heard a lot of griping from folks when Facebook started releasing new features a couple weeks back, griping and threats of leaving Facebook and moving to G+ (myself included). But – I do like the new Timeline feature on Facebook, and making the lists more prominent. If nothing else – G+ in my opinion gives some incentive to Facebook to continue to innovate. Yeah, a lot of people I know I know because of Twitter or Facebook, and there is just a lot of social media fatigue out there. People don’t want to start all over again on a new platform when they can already talk to their communities in 5 different places. I know what you mean. But, to my find, Facebook etc have had organic growth that we’ve used, experienced and got used to. Suddenly G+ comes along, tips half of us into burnout and makes us start a lot from the beginning. I do think that getting the circles right early on helps to get rid of some of the clutter. Or at least manage it a bit better. And I’m noticing higher engagement figures than either FB or Twitter. More conversations breaking out, more opportunity to get into conversations. It will be interesting to see how it evolves. Certainly it’s got a mountain to climb – but it’s only just been released to the public so it’s still in diaper-phase! Thanks for your comment. You are right – it may be too early to tell whether Google Plus will continue to bloom. It seems to have a lot more momentum than Wave or Buzz, but it seems like people aren’t in the middle ground when it comes to the platform. They either love it or hate it. Do you still need to be invited to Google Plus? Would like to try it out. @RSA Course No, its open and public anybody can sign up now it isn’t beta anymore. Google is ignorant for there lack of visualization they need to stop trying coming out with something similar to the people they couldn’t buy out like we all know that Google plus is supposed to be the bootleg version of Facebook forget the rivalry between Google Facebook and bing why cant they just be like Google Ice (www.Googleice.do.am) its an example of what happens when companies set there differences aside and work together.